A Christmas Carol Classic Radiocast - R We There Yet Mom? 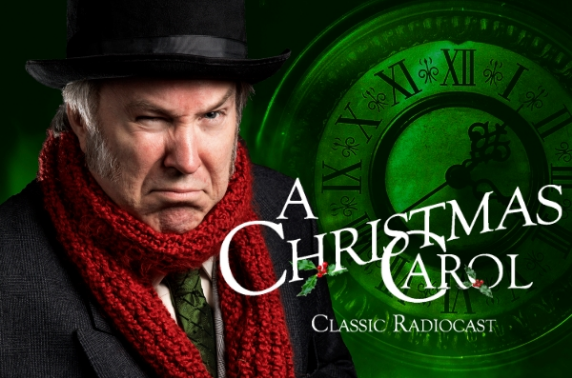 Penfold Theatre Company presents A Christmas Carol Classic Radiocast from November 29 – December 29, 2018 at Old Settlers Hall at Old Settlers Park in Round Rock, Texas. What makes this holiday performance so unique? The play, performed by 4-5 very talented actors, is a radio show – complete with really fun sound effects. Standing in front of microphones the entire performance, the actors all play a few different roles each and it is so fun to see them all change characters right in front of you, complete with fantastic facial expressions. Last year, they did such a fantastic job of storytelling, that you got lost in the story with them. You completely forget there are microphones in front of them and begin to “see” the story unfold. The sound effects – glass breaking, dishes clinking, taxi cab horn tooting, shoes running, and more – enhance the story and performance. 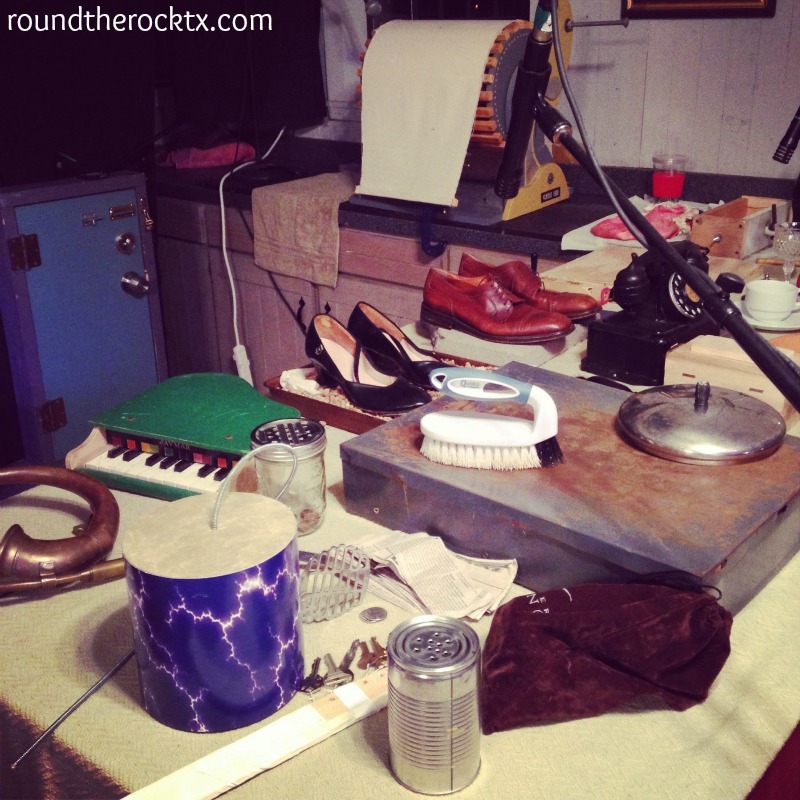 Personally, I think we are blessed as a community to have this level of talent in Round Rock. I am excited to see A Christmas Carol and I hope you are too. Instead of getting so busy this season, I encourage you to book a date to see this show – take a date, take your kids (perfect for 5 and up), a group of friends, your mom – support this local performing arts company because they are fantastic. Performances are Thursday – Saturday evenings at 8:00 pm, with 2 matinees on Saturdays. There will be no performance from December 23-26. The last show will be performed through December 29, 2018. We need to support Penfold Theatre as a community – they are working so hard to bring amazing shows like this to us, that it would be a shame for them to not pack the house at every performance.